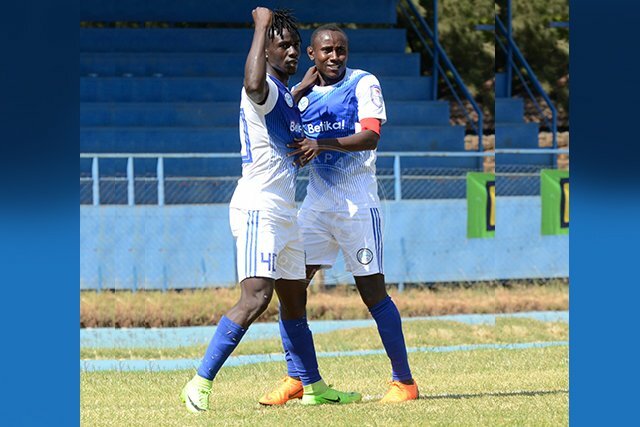 Sofapaka Football Club are up next of the roster for log leaders Mathare United FC- a side that has not won in its last three matches in the Kenyan Premier League (KPL). With a 1-0 dispatch of sugar millers Nzoia on Thursday, Coach John Baraza’s boys went up third on the 18-team KPL log a victory aided by striker John Avire who now says if they take on Mathare United like they have handled their last four outings- then he sees no reason why they shouldn’t close down the five point gap between them. While speaking to Soka, Avire- a former Passenga High School student, hopes they can replicate their form when they face the slum boys next Tuesday. ”It’s a tough match for the both of us. They are top of the log and we have good form. However I trust we can win that tough encounter if we play the same way we have been doing in the last matches,” says Avire. Sofapaka have picked maximum points in its last four matches- since Baraza took over the team. Asked what effected the change in fortunes, the 21 year old reveals that it has all been down to understanding one another. The team right now, has gelled properly and play with a lot more unity. ”Honestly not much has changed, we just understand each other very well and we work as a team. Everyone wants to win and the determination to go for maximum points has increased,” adds Avire who now has four goals in the league. The four goals, scored against Mount Kenya United, Ulinzi Stars, Tusker and Nzoia means he stays two goals behind the leading scorer in the division Enosh Ochieng of Ulinzi Stars. The golden boot is every striker’s target he says. ”I personally want to score more goals, that’s what makes a striker happy. Right now we are at three goals with Umaru Kasumba in Sofapaka and we want to go for more. I only need to put in a little more effort and the golden boot will be mine,” he concludes. Avire had brief spells at Kakamega Homeboyz and Bandari FC briefly after school in 2015. It was however at Mount Kenya United (Nakumatt) that he would find playtime- and form favorable and even got snapped up by Sofapaka at the end of the 2018 season. Sofa are now at 20 points from 12 matches having won 5 and drawn 5.